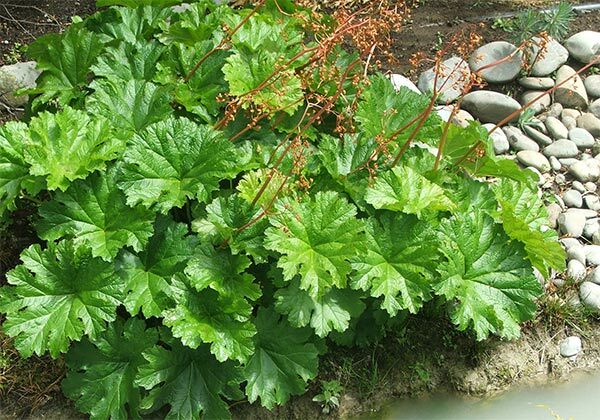 Darmera is an ornamental large-leafed perennial which grows in the Hen House Gardens by the water. It's an American plant, sometimes called 'Indian Rhubarb', and is a favourite waterside plant in the gardens on the East Coast of Scotland. I can't remember where or when I bought mine - I suspect it was from a local nursery in a sale. For years I thought it was something else, and then when I got the name right I got the spelling wrong. Oops. 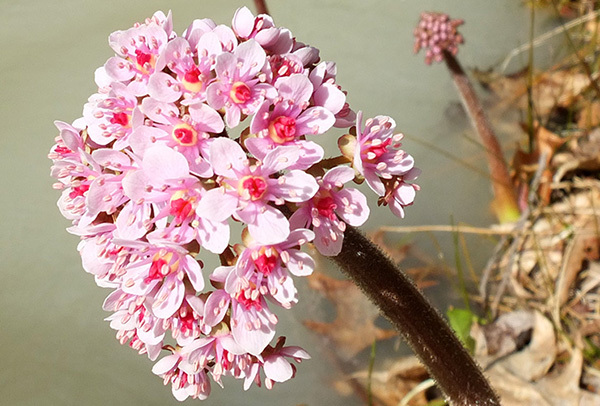 The pink clusters of flowers are gorgeous, emerging on naked stems in spring. The umbrella shaped leaves which follow are glossy, medium sized, and in my garden nothing eats them. And it is well behaved. My Darmera clump is slowly but steadily increasing - nothing too alarming!